I just need to talk about this new emerging food trend - Rainbow. For some reason, rainbow coloured foods have been popping up all over my Instagram feed and I personally find it a bit weird. You are probably aware of Scot Rossilo's Rainbow Bagels from the Bagel Store, in Brooklyn New York. I want to say it Bagel Store was the first shop to do rainbow coloured savoury food. Their rainbow bagels are served toasted with birthday cake funfetti cream cheese spread. Not only can you find these bagels a swirl of all the colours of the rainbow, but you can also place special orders for specific colour palettes. The Rainbow Bagels were just the beginning because you can now get a rainbow grilled cheese from Kala Toast in Hong Kong. They use multi coloured slices of cheese to create their multi-coloured ooey gooey childhood treat. If you are heading down to Las Vegas, Nevada, you may come across the Rainbow Latte. Barista, Mason Salisbury, uses food dyes in steamed milk to create his complex rainbow latte art at the Sambalatte Coffee Shop. Though he began using food colouring as a visual training tool when teaching new barista's how to create steamed milk art on lattes, his pictures of the finished product were widely loved on Instagram, garnering him 17,000 followers. With the profound public interest in his work, Sambalatte Coffee shop has now made rainbow lattes part of their permanent menu. I am in love with Rosemary Rocksalt's Motto! I am not going to lie, the Rainbow bagels, grilled cheese and lattes are instagram worthy; however, I personally would not consume any of these treats. 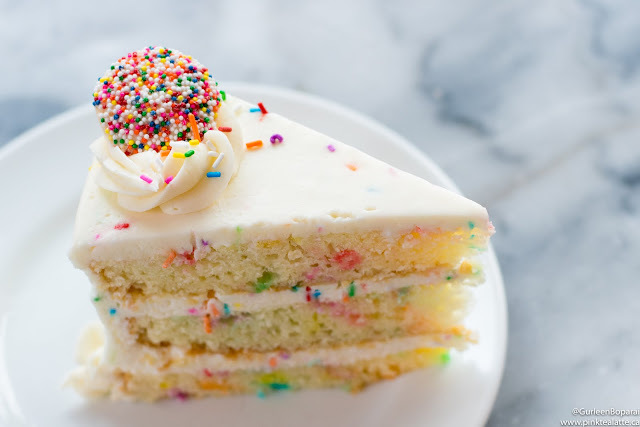 We have become accustomed to sweet treats being various colours of the rainbow generally achieved by the addition of artificial food colours (AFC). Synthetically derived AFC's are required to be batch tested and regulated by both the Food and Agricultural Organization (FAO) and World Health Organization (WHO). The majority of synthetic AFC's are developed from petroleum and coal. Unlike synthetically derived AFC's, naturally food colours do not require batch testing for safety. Lately, I have been trying to make a more conscious decision in what I put in my body and to eat less processed food. True, The Bagel Store makes their bagels from scratch with quality ingredients in-house at their Brooklyn location, but why add in all that food colouring?! Many are allergic to certain colours as well, it has been argued that food colouring could allegedly lead to chronic diseases. As well, if you think these are natural colours, I am sorry to say these are not. Only synthetic food dyes food are capable of creating such intense vibrant colours that remain bright after cooking. I feel we are so sensitive about preservatives and the use of pesticides, hence the increase in "organic" produce and food in our super markets. However, we seem to not consider AFC an additive. I feel this way because sweet foods tend to always have AFC's in their frosting, or batter or custard or sugar or chocolate. AFC's are commonly used in the pastry industry to make the pastries more aesthetically pleasing. I think the best example would be macarons. Vancouver is obsessed with macarons and with the opening of Laduree this spring, I have been seeing more and more macarons on my instagram feed. Even though Laduree may use quality ingredients, they add AFC's, so consumers can visually associate the flavour of the macaron. For example, the raspberry macarons are coloured pink, but it can be argued that pink can be achieved from the bright berry itself. However, the bright blue Marie Antoinette tea-flavoured macaron colour is most definitely from the addition of synthetic food dye. The trend of now using AFC's to create "rainbow" inspired savoury food is only gaining enthusiasm across the globe. 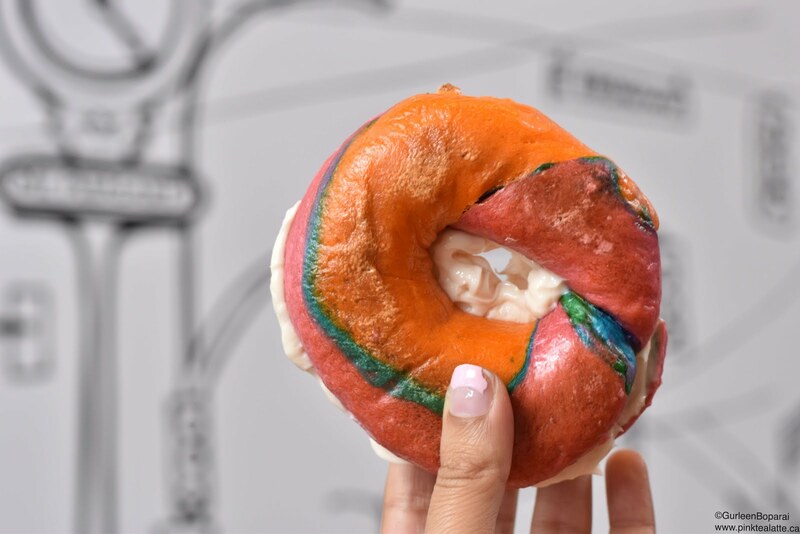 Recently, Rosemary Rocksalt Bagel Shop has begun serving up their own rainbow-hued bagels. This bagelry has been serving up Montreal style doughnuts in North Vancouver for 4 years and opened up a second location on Main St in Vancouver just last year. 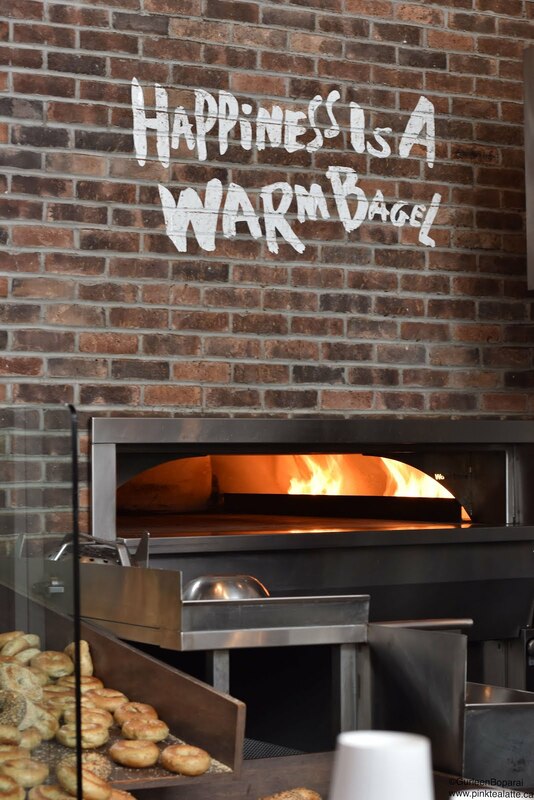 These bagels are boiled in honey water prior to being baked in a stone-hearth style oven to achieve the perfect chewy texture. For research purposes, I picked up the infamous rainbow bagel from Rosemary Rocksalt, but could not get past the crazy colours. How is a neon coloured bagel normal?! Haha I actually ended up passing it over to my friend who happily obliged to being the official taste tester. The Rainbow Bagel is simply the plain bagel with lots and lots of bright food colouring! Haha just was really weird! 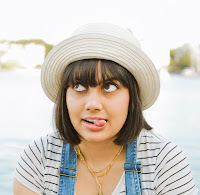 This blogpost was solely my own opinion. I thought I would talk about this interesting new rainbow coloured savoury foods trend. Personally, I prefer no added colouring in my food because it is not necessary! One of the reasons why Bella Gelateria is my favourite cold confectionary is because James Coleridge does not use any food colouring in any of his gelatos. So if you ever stop by, take a look at their mint chocolate gelato and you will be surprised to see a creamy white gelato and not the green-hued confection we have come to recognize. I appreciate this because generally ice creams, gelatos and sorbets are full of AFC's! Also, Trafiq bakery on Main st does not use AFC's in any of their frostings for their pastries and cakes. I personally find a naturally coloured chantilly cream looks far more appetizing versus a bright pink whipped cream. I would love to hear your opinions on the use of AFC's in savoury as well as sweet foods. Are you a fan of the increasing use of food dyes?